amcat exam pattern and syllabus 2019 – Hello candidates, Welcome to alpingi.com -you best job guide. We are one of the best portal for amcat guidance on the internet which helps students in the preparation of AMCAT exam. We receive comment and feedback from various stream (B.Tech/M.tech/BCA/MCA/MBA) regarding the AMCAT 2017 & 2018 and we try to answer as much of as them in shortest time period. We have seen many website running just sack of copy paste and not helping students in regards of what they want. Earlier we have covered amcat eligibility criteria to help students to check whether they are eligible or not. We are receiving hundreds of comments on amcat adn therefore covering AMCAT Exam Pattern and Syllabus in this article. One comment forced us to right this article because that candidate was was needing help with syllabus and not ware of exam pattern (If you see the below image which is taken from our comment section marker in red). Get here syllabus and exam pattern for all the branches BE/B.Tech/BCA/MCA/MBA/M.tech etc. AMCAT Exam is being conducted by aspiring minds. All the candidates passed out or passing out (final Year) can avg skills can give and pass this exam.There are few sections in AMCAT exam where you need to pay attention to get good marks. We will cover all the sections of amcat exam (compulsory + Optional). Tops companies like Cognizant, Accenture, ITC infotech, Godrej and Ericsson are hiring through amcat exam. The students who have completed their BE/B.Tech/BCA/MCA/MBA/M.tech or are in the final year of BE/B.Tech/BCA/MCA/MBA/M.tech are eligible to write AMCAT. Amcat test consists of various sections/modules which you can choose according to your profile or education background. There are few modules (mentioned below) which are compulsory whereas others are optional. When you will give amcat test then it will ask you for the option to select two domain Specific modules. Please remember you choice of modules gives you that kind of jobs only. Like suppose you have opted for Java Programming then you will get maximum calls for Java Developer whereas taking a HR module will help you find HR profiles. English Comprehensive Paper 18 16 min 900. Quantitative Ability Paper 16 18 min 900. Logical Ability & Reasoning Paper 14 16 min 900. These are the compulsory modules in amcat which you need to attend to pass the amcat exam. 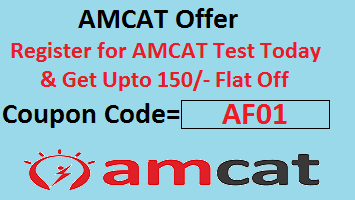 These are the Optional modules in amcat exam which you may attend in amcat exam. Please remember, you will get jobs on which kind of optional module you choose. Get here amcat syllabus for CSE, ECE, Mechanical, CIVIL, BioTechnology, BCA, MCA, BBA, MBA, B.Tech, M.tech and other branches in detail. We are providing the list of all the modules that you can take in AMCAT, the broad topics that a module would cover, relevant job profiles, number of questions, duration and some sample questions for each module. This module is ideal to evaluate the numerical ability of an individual. The module assesses capacity of an individual to interpret things objectively. The module is ideal to evaluate entry level talents exposure and expertise in Computer Programming. That’s all guys, we have covered AMCAT Exam Pattern and Syllabus for B.Tech/M.tech/BCA/MCA/MBA and you can comment below if any doubts. article details are sourced from amcat official website. Hi,i am sweta as i am planning to attend AMCAT exam in 24th April 2018.i have completed MCA in 2017.I want to know the exam pattern and syllabus for the exam.please send me the syllabus and exam pattern. Hi, I had passed my MCA in the year of 2013,after that I didnt work for any software company, so I have a more than 6yrs year gap, so right now I think I want to start my job in some software company, so this exam will help me to get start my carrier if Iget qualified then company will hire me by my amcat scores or not? ?